The Bernstein tree was planted eight years after the Ballarat Synagogue’s foundations were laid in 1861. BHC supporters: J-AIR’s TenKradius presenters Max Lasky, Nathan Mond and Gary Mallin enjoy the fruits of the Ballarat Synagogue’s sukkah. 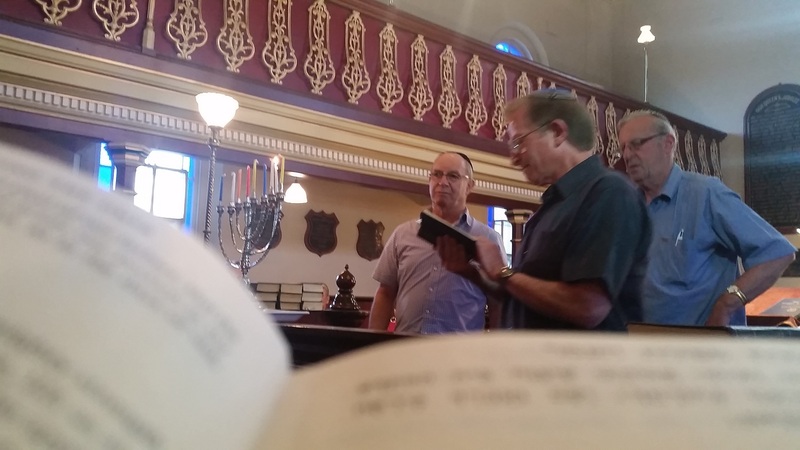 Read Jessica Black’s story, “Oldest synagogue sees congregation resurge”, in The Courier.